Eminent domain has been instrumental to development of the infrastructure systems that sustain our modern economy. Broadly defined, eminent domain (condemnation) is the inherent power of government to take private property for public use. This essential public power is recognized in the state and federal constitutions, both of which guarantee payment of full compensation to affected landowners as a due process requirement. This article provides an overview of the condemnation process and related legal issues that commercial real estate professionals may encounter in northwest Florida. Eminent domain exists in several forms under Florida law. Condemnation of private property can be temporary (e.g., a construction easement) or permanent. Certain entities are authorized by statute to use the “quick take” method, which permits a condemning authority to take possession and title to property before a court enters a final judgment setting the amount of the landowner’s compensation. This is the most common method of condemnation seen in our region. By contrast, a “slow take” requires an initial judicial determination of the compensation to be paid to the landowner, and the condemning authority then elects whether or not to move forward with the condemnation based on that price. The “slow take” method is typically used in Florida for environmental preservation purposes. The right of eminent domain is not reserved to government alone. The Florida legislature has granted condemnation powers to many utilities and to other heavily regulated industries such as railroads. Under certain circumstances, property may even be taken by government for private development, to alleviate blight, or to promote the economic growth of an area as long as the condemning authority can identify a valid public purpose for the taking and show that the property to be taken is necessary for that purpose. In cases where a court finds that these criteria are met, aggrieved landowners generally will be limited to seeking monetary compensation as their only legal remedy. Although eminent domain powers are broad, the procedure for use of those powers is strictly controlled by statute. In most cases, a condemning authority must first enact an authorizing resolution stating its intent to take private property for use in a public project, which will provide general information about the project and identify the properties to be taken. The next step in the process is a mandatory pre-suit negotiation in which the condemning authority must provide a written offer of compensation and a supporting appraisal to each landowner whose property will be taken, and must also provide written notice of the proposed condemnation to any business owners operating on the property. The condemning authority must make good faith efforts to reach an agreement for compensation with affected landowners before filing suit to condemn the property. If pre-suit negotiations are unsuccessful, the condemning authority will then file a civil lawsuit against the hold-out landowners in the circuit court of the county where the property is located. Although condemnation suits are often resolved through mediation during the litigation process, Florida law provides that a 12-person jury will determine the landowner’s compensation if the parties cannot agree on the amount. Unlike many states, Florida law allows landowners to recover attorney fees and other professional expenses incurred in condemnation proceedings, which levels the playing field somewhat given that many condemning authorities have taxing powers and considerable expertise and resources at their disposal. Attorney fees are generally awarded as a percentage of the dollar value of the benefits achieved for the landowner as a result of the attorney’s services. The governing statutes ensure that landowners receive full and fair compensation for their property in addition to any reasonable expenses they incurred in proving that value, including appraisal and engineering costs as well as attorney fees. Because these expenses are awarded separately from the landowners’ recovery, their constitutional right to full compensation will not be impaired. The fundamental question at issue in most eminent domain proceedings is the amount that the condemning authority must pay to fully compensate the landowner for the taking of her property. This analysis is not identical to a fair market valuation. Depending on the facts and circumstances of the particular case, compensable items may include a landowner’s business losses, severance damages (in cases where only a portion of the property is taken), and relocation expenses. For income-producing commercial properties, this can be a complex issue that often requires the services of appraisers, accountants, and other professionals to accurately calculate landowners’ losses in presenting their case for full compensation. Further complications may arise when a contract such as a lease or an easement exists that imposes obligations on the landowner to third parties with regard to use or occupancy of the property. Well drafted contract terms will address such issues in advance. Landowners and real estate professionals in northwest Florida should expect to encounter issues related to eminent domain with increasing frequency. With tourism and development steadily on the rise, continued expansion of the region’s infrastructure, and the corresponding need to take private property for use in those projects, is inevitable. 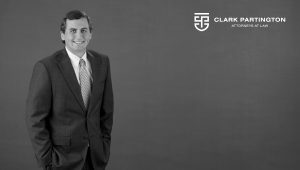 Condemnation or the threat of condemnation may complicate an otherwise-straightforward transaction, and can present unanticipated consequences for the parties without proper planning. Where a business owner’s livelihood is at stake, the importance of full compensation for the taking of a commercial property becomes particularly significant. As with any significant legal matter, the assistance of a qualified attorney can prove invaluable in addressing these issues. This article was originally published in the 2018 issue of Insight Magazine, a Beck Partners publication. Page 37 – 38. Click here to view the entire publication.